And oh my goodness! There is more information in there than I could EVER imagine was possible. I usually crochet toys and afghans, but her designs in the book make me want to whip something wearable out in crochet, and have it FIT WELL. I know that her principles can also apply to sewing and knitting. 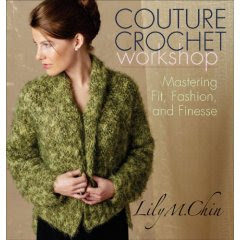 I was thoroughly impressed with the depth of knowledge and careful planning in a garment. This one is definitely on my Christmas list.